Our jewel-box of a store on busy Bedford Avenue welcomes thousands of visitors a week seeking a piece of our trademark fine, personal jewelry. 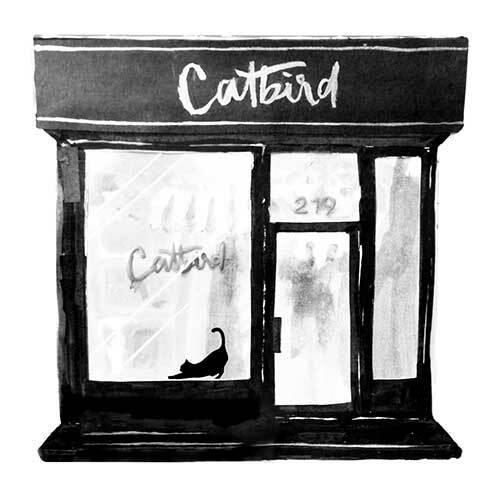 Catbird remains at the the epicenter of the Williamsburg explosion — a must-see destination with crowds regularly spilling out the door. We love our neighborhood and created this list of some of our favorite places for you. If you have any questions please contact us at customerservice@catbirdnyc.com. We strive to reply to all emails within 24 hours on business days! To learn more about our Wedding Annex, please click here. We also carry a wide selection of engagement rings at our Bedford Avenue store. Come get zapped! Our Welding Annex is now open; Catbird jewelers are on-site to weld a Forever Sweet Nothing Bracelet onto your wrist.